It's been four years since the death of New York Times columnist David Carr. Now, his daughter, Erin Lee Carr, is out with a memoir about her relationship with her father. Also, after the release of the redacted Mueller report Thursday, we speak with Paul McNulty, the deputy attorney general under George W. Bush, who has worked at the Justice Department under Attorney General William Barr. Maps are crucial to understanding severe weather threats to various areas — but what good are they if viewers can't read them? Also, the Supreme Court will hear opening arguments next Tuesday about whether the Trump administration can bring back a question about citizenship to the 2020 U.S. Census. We take a look at past censuses and how they have been used for both good and bad. Democrat Jamal Simmons and Republican Matt Mackowiak join Here & Now's Jeremy Hobson to discuss what they expect from the release Thursday of special counsel Robert Mueller's redacted report on the Russia investigation. Also, in our latest DJ Session, David Sommerstein of North Country Public Radio shares his love for world dance music. That and more, in hour two of Here & Now's April 17, 2019 full broadcast. President Trump vetoed a bipartisan resolution passed by Congress to end U.S. military assistance in Saudi Arabia's war in Yemen. 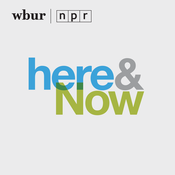 Here & Now's Jeremy Hobson talks about Trump's veto with Democratic Sen. Chris Murphy from Connecticut. 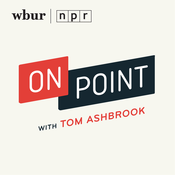 Also, host Robin Young talks with news photographer Maya Vidon-White about what it was like to cover the devastating fire that destroyed major sections of the city's Notre Dame Cathedral. That and more, in hour two of Here & Now's April 17, 2019 full broadcast. 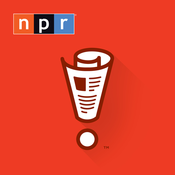 Here & Now's Robin Young gets the latest on the fire at Notre Dame Cathedral from NPR's Ofeibea Quist-Arcton. Also, Maryland lawmakers recently became the first in the U.S. to approve a statewide ban on Styrofoam food containers — and a local Baltimore celebrity may have had something to do with it. That and more, in hour two of Here & Now's April 16, 2019 full broadcast.